With warm weather (hopefully) right around the corner, all college students needs a little more water in their lives. Whether climbing up a million flights of stairs parches your throat, you attend back-to-back classes without a chance to stop at a vending machine or you want to be environmentally friendly, everyone has a reason to own a reliable, reusable water bottle. So head out to the store or open up a new tab for Amazon and stock up on one of these 10 awesome bottles. When your water heats up from the blistering sun, this water bottle’s got your back. 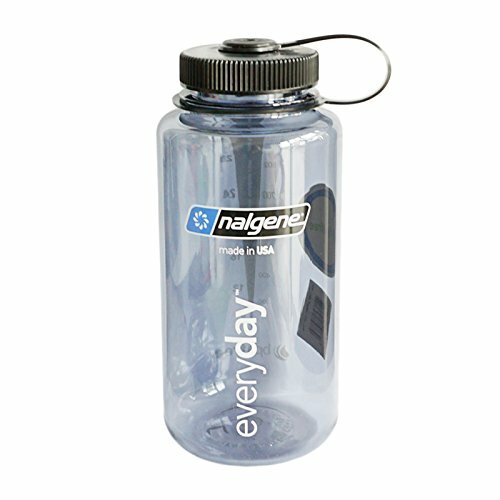 It comes with a wide mouth that lets you drop ice cubes in from the top, so it’s no wonder people love the Nalgene water bottles. If you crunch for time to run back to your dorm to grab another plastic water bottle, you won’t regret investing in the large 32 ounce wide-mouth bottle. “I like Nalgene because they are bigger than regular water bottles so I don’t constantly run out of water in class and when I’m doing things,” Florida State University senior Caitlin Murphy said. 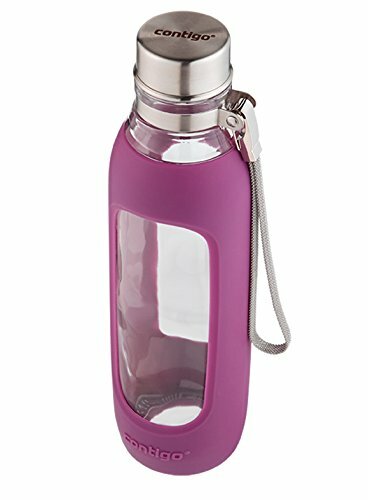 “I also like that they are the perfect canvas for stickers and decals and are practically indestructible.” This bottle also holds hot or cold liquids and comes in 17 different colors. Along with stainless steel, glass water bottles look like the hot new commodity. Glass doesn’t contain chemicals that make your water toxic or taste weird, and gives it a cool look too. The Contigo Purity bottle feels sturdy and safe, and includes a silicone sleeve around part of it while still showing some glass off. This water bottle lasts a lifetime and has a stylish strap of crisscrossing woven metal to really enhance the look and provide more stability. These water bottles might break the bank, but your money will benefit children and not just a big corporation. 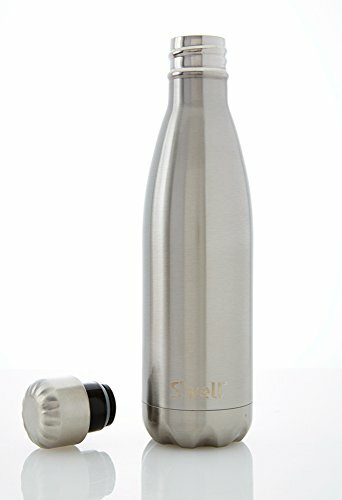 S’well is an innovative startup company who teams up with the U.S. Fund for UNICEF to provide clean drinking water for children all around the world, so the money you spend goes to a great cause. In fact, they’ve donated $200,000 since 2015! If that reason doesn’t convince you to drop some cash on these bottles, they’re also made of indestructible stainless steel, keep drinks cold for 24 hours and hot for 12 and come in many creative colors and patterns like galaxy, marble and animal print. “My mom got one for me for Christmas. It really does keep things cold for a long time. Also, the part that you put your mouth on never touches anything else, so it’s okay if you drop it,” Boston College sophomore Mary McCartney said. Although this handy water bottle may cost you a chunk of your paycheck, the extra cash is worth it. Klean Kanteen specializes in stainless steel bottles, which are super durable and don’t contain any chemicals that leech into your water like plastic. “I wanted stainless steel. I always break plastic especially the mouthpieces. Plus I don’t trust plastic to not [poison] me,” said Boston College senior Tristin Pendergrast. These bottles include a lifetime warranty and come in 10 different colors. Plus, if you live off campus and hate the long, hot walk, the insulated version costs only $10 more and will keep your water (and you!) nice and cool. Trying to avoid tap water because you think it tastes weird? Look no further. The Brita Sport Bottle filters tap water to make it taste wonderful with each swig, so no excuses saying you need plastic bottles for the fresh taste. 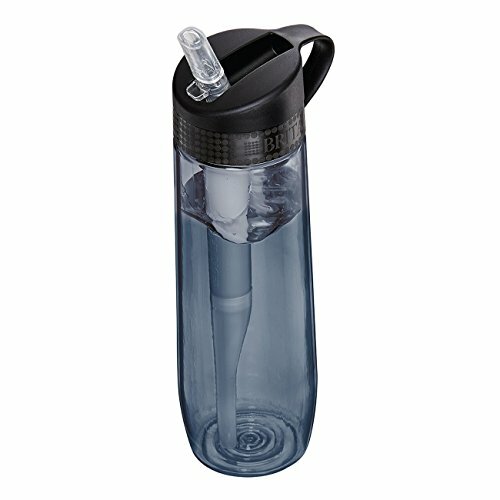 This 20 ounce bottle includes a spout for easy sipping, is BPA free and shines with 4.4 stars on the Brita website. “I like it because I can fill it up anywhere, like in a sink or something, because it has the filter and it’s a really convenient size,” BC senior Maggie Snell said. For 80 ounces of water, which is more than you need to drink in one day, you can’t beat this price. Be prepared to relinquish your thirst (and maybe even some friends’) by carrying these big, bright bottles around campus. The Cool Gear container comes with a straw to help you reach the bottom of the massive bottle and even includes a handle for safe grip. Who needs ice when you get a freezer stick to keep your water cold and EZ-Freeze technology to make it even colder? CamelBak’s eddy water bottle wins over college students who like to pack light. Bring along your 25 ounce bottle and sit through your classes without carrying a bulky bottle around or weighing down your hefty back pack even more. “I think I subconsciously drink more with the CamelBak, because I can see how much water I’ve had and how much more I need before I have to fill up again,” BC senior Maisie Laud said. “[F]or instance, I hate having to screw a cap on and off of water bottles, so I’m all about the drinking nozzle. It’s like shopping for a new car, you gotta shop around and know what you like. I like a good nozzle.” The CamelBak eddy bottle is also durable, BPA free, has a lifetime guarantee. It’s dishwasher safe, so cross “water bottle maintenance” off your to-do list. If you find yourself trying to save every penny, then Rubbermaid Hydration Chug water bottles need to be on your summer shopping list. For a little over $7, these durable and colorful 32 ounce bottles are made with Tritan, but can still withstand the dishwasher and freezer. No one can resist frozen water during the scorching middle-of-August days. 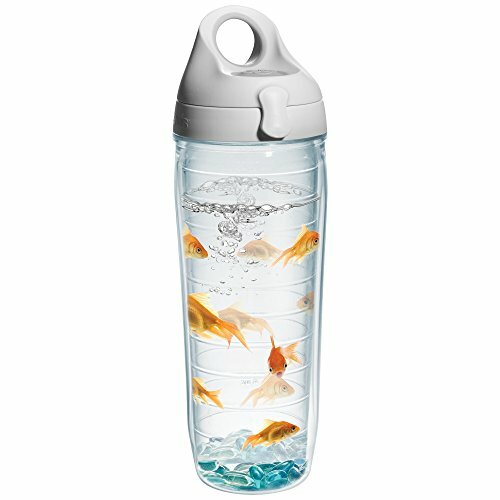 This bottle is also BPA free and includes a classic carrying loop, so string it between your fingers and have more room for holding your books. Tervis may create most of its water bottles in one shape and function, but the bottles really shine when it comes to design. The 24 ounce Tervis provides safekeeping for hot and cold drinks and offers any style to your liking. Represent your favorite fandom from Batman to Harry Potter or showcase your school logo and colors, pretty florals, cool patterns and everything in between. While avoiding dehydration benefits your health and your medical bills, sometimes plain, tasteless tap water isn’t satisfying. If you want to spruce up your H2O with a bit of carbonation, let the SodaStream Carbonating Bottle give you some sweet bubbly goodness. With these 33 ounce water bottles, you indulge by drinking seltzer water, soda or any other liquids you want to carbonate. “It’s great if you love seltzer. We got one for my dad, who’s obsessed with seltzer, and he loves it,” BC senior Heather Roman-Stork said. You finally finished a tough and studious year, so you totally deserve this special treat. Next Post: Does Social Media Really Make Us Happier?